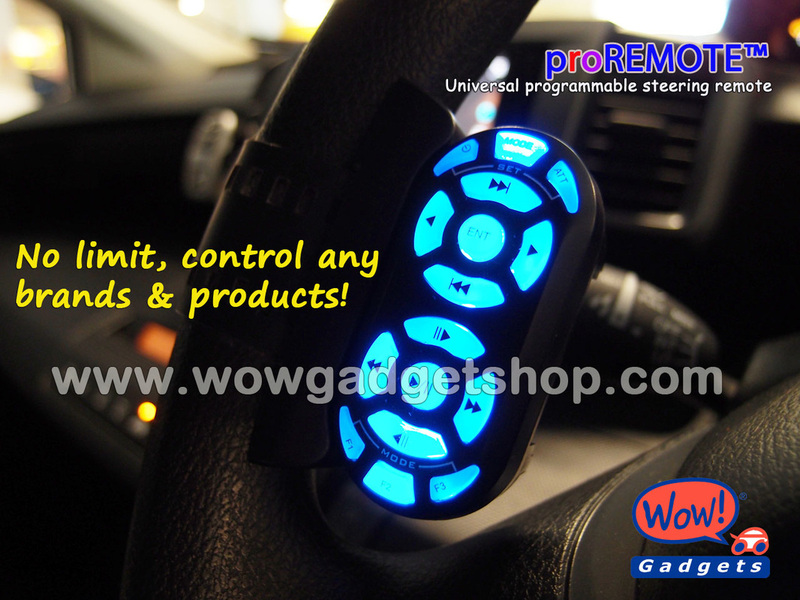 proREMOTE™ is a universal & programmable steering remote with style. This product from Korea promotes safe driving with full control features on your devices while both hands still on steering wheel. This is not just an ordinary steering remote control but a programmable remote which control for up to 3 different devices, for example your audio players, DVD player, media player, TV tuner, LCD monitor and etc by selecting Function button F1, F2 and F3. The control can be customized for each button, compatible for any device and brand including the nanoBOX, our multimedia player product. It has 3 color backlights (Blue, Red and Purple) representing each programmed device control. Wide angle and strong IR transmission reduce any restriction to control any devices in your car.